www.armada.co.uk for any major authoring projects of other kinds. CKM is an example of what can be achieved in a matter of weeks. 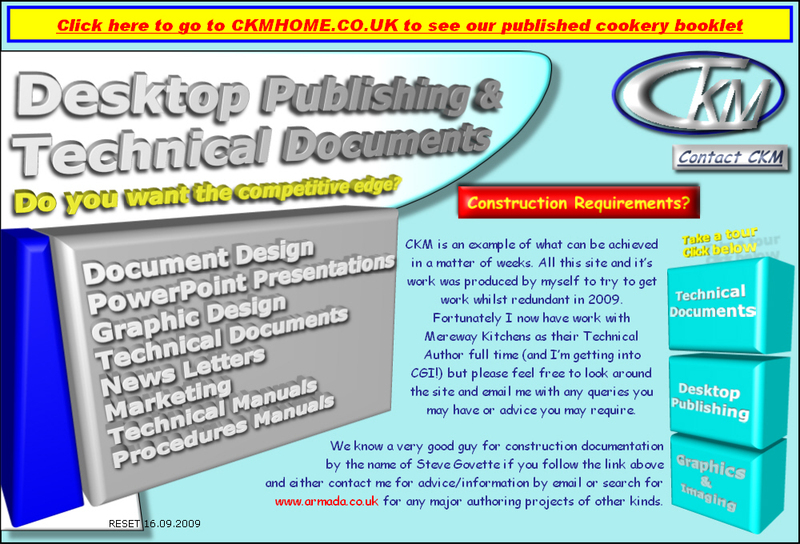 All this site and it’s work was produced by myself to try to get work whilst redundant in 2009. Mereway Kitchens as their Technical Author full time (and I’m getting into CGI!) but please feel free to look around the site and email me with any queries you may have or advice you may require.